The Virgin Islands (British) has recorded seven murders in six months, since the start of the year. Five of the seven homicides recorded this year were committed with the use of a firearm. Premier and Minister of Finance, Dr The Honourable D. Orlando Smith (AL) during the delivery of a live ‘Mid-term Report’ on Monday July 10, 2017, on local radio and television said he was “deeply troubled” by the persistence of violent crime in the Territory and is resolute about doing something about it. The Premier continued, “That is why my Government is giving our full backing to the Royal Virgin Islands Police Force (RVIPF). We have provided the police with all the financial support they need and we are demanding of them that they step up their efforts to respond to and solve open criminal cases." 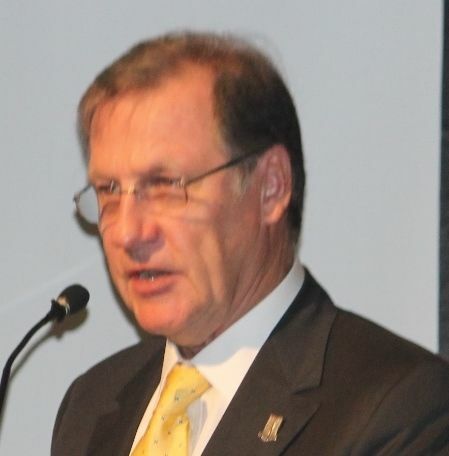 While the Premier claimed that the RVIPF has been getting the full backing of his government, not everyone has shared that view, including Governor John S. Duncan, OBE. 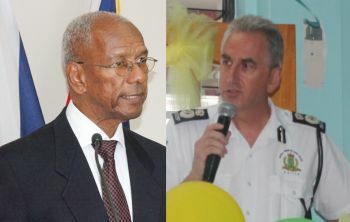 Governor Duncan, in March of 2017, saw it necessary to strip Dr The Honourable D. Orlando Smith (AL) of his powers as Finance Minister, and under Section 103(b) of the Virgin Islands Constitution Order 2007, ordered that over $1.88M of public monies be taken from the Consolidated Fund and given to the Police, Magistrate’s Court, Attorney’s General Chambers and the Office of the Director of Public Prosecutions. Although Governor Duncan’s actions belittled the National Democratic Party Government of Premier Smith, many people supported the Governor as they felt Government was not doing enough to address the obvious upsurge in criminal activities, including gun crime. At the time too, the Territory had also seen three homicides for the year, two by gun violence. And in an exclusive interview with Governor Duncan on June 22, 2017 he said the extra funding to the Police and other departments will take time to bear fruits as the underfunding of the police for the past four years has to be addressed. “...and as one of the bloggers said, ‘it takes time’. It’s not just, oh give me the money and everything happens, of course not, we have to address the underspending in the past four years, so that takes time to put it back together again. So far the Police have brought in no less than six detectives from the United Kingdom, using the resources made available to them from the Consolidated Fund, a story first reported by this news site. Politicians always think they the smartest one in the room and everybody else stupid and don't really know the truth. Yes and a jokers too. Nice one Premier. BVI does need to step up its crime fighting. HOWEVER, that starts at home. It is unrealistic to think that this is only expats committing murders, or BVI Islanders seduced by foreign corporations. The reality is that the BVI has a long tradition of not respecting the laws. In other words, the law is one thing, the practise is another. The broken windows syndrome, from people approaching the roundabout at Road Town in the left lane and thinking that the rules don't apply to them and they can cut in, to those who think that they can do drug running as part of the horse racing or otherwise (and there are allegedly some families with significant last names who have houses on the hill built with drug money) to nominee beneficial owners and the like. All of this leads to a culture where respect for the law and the policeman is lost. How much revenue could be raised if you put in cameras on some roads, such as the dual carriageway, or you put booze busses on the roads on Friday nights to catch expats leaving the cab (as well as locals)! Oh BVI, so beautiful and wonderful, but so grossly mismanaged! I just changed my mind. This is hot air and hogwash being blown by Smith! "The reality is that the BVI has a long tradition of not respecting the laws. In other words, the law is one thing, the practise is another. " @ One BVI I could shake your hand. He need to talk about immigration also and the airport security officers.